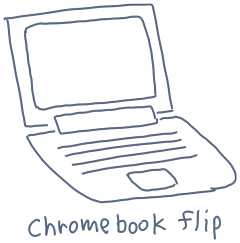 I won't get ASUS Chromebook Flip but for some reasons I got it. This keyboard is very good and AC adapter is small enough. At first I tested MindBoard 2 (Beta) works or not on Chromebook. Basic features worked but the feature releated google drive did not work. ©2011-2019 Tomoaki Oshima, All rights reserved.